Every now and then I get a little bit nervous about big pop culture phenomena that creates masses of crazy fans. In my tween years it was boy bands, but of course these days it’s vampires and werewolves and wizards. Today movie theaters around the country are losing their minds trying to deal with females of every age who are dying to see the 3rd installment of The Twilight Saga. I haven’t had the privilage to see Twilight Eclipse yet (8pm tonight I will have the honor; it is my favorite book in the series and the guy who directed 30 Days of Night is attached to this installment so I have my fingers crossed), but let’s talk about what I have seen… The latest Harry Potter and the Deathly Hallows trailer via Film School Rejects which is supposed to be attached to today’s release of Twilight. I was stunned into silence by this trailer. David Yates and Warner Brothers are sending Harry Potter out with a huge bang and you can feel how enormously epic this ending is in just these brief two and a half minutes. To be completely honest with you, the release of this trailer on MSN before Twilight’s opening has reshuffled my excitement. My immediate thoughts following the trailer was “screw Eclipse, I want Deathly Hallows” which can only make me wonder how many other Twilight moviegoers may feel the same? Obviously the Twihards won’t care, but what about the rest of us? 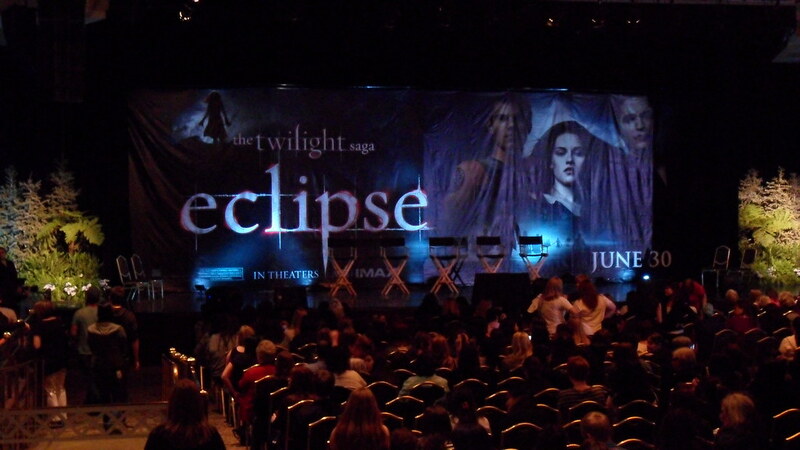 Could this trailer outshine Twilight Eclipse? Ok maybe I’m getting too excited. Honestly the Twilight fandom is so intense and rabid, I doubt this would be the case nationwide… But for some people (boyfriends and husbands being dragged to see Twilight), it may just be the highlight of the evening… along with Taylor Lautner being shirtless… yummy. Whatever team or franchise you support its a great day for all. New epic film and new epic trailer… another great day at the movies.